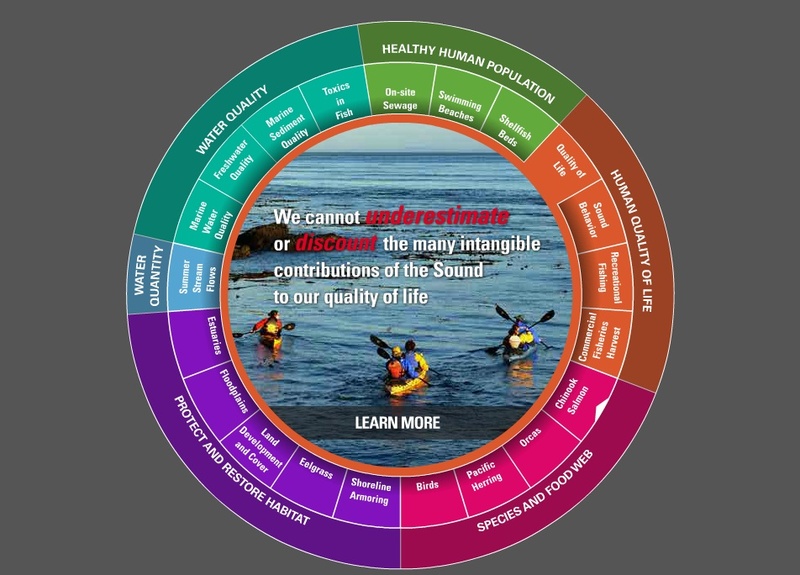 The Puget Sound Partnership (PSP) is tasked with coordinating restoration of the Puget Sound to enhance healthy human populations and quality of life. One way the partnership monitors the status of these goals is through the Vital Signs, which currently have a placeholder for a quality of life index. This document summarizes research in three local areas using stakeholder processes and scientific literature review to identify common attributes of human wellbeing and quality of life and associated indicators that could serve as effective Vital Signs. This document combines the results from these three studies with similar work conducted in Puget Sound tribes to recommend a short list of potential human wellbeing indicators for Puget Sound. These recommendations are intended to support completion of the Partnership’s selection of Vital Sign indicators of Healthy Human Populations and Human Quality of Life. Kelly Biedenweg is Lead Social Scientist at the University of Washington Puget Sound Institute.